VERO BEACH -- Eighty-eight swimmers and a crowd of nearly 300 were on hand at North County Pool for a recent USA Swimming sanctioned meet featuring children from the Boys and Girls clubs and Gifford Youth Achievement Center. In all, 63 children from the Boys and Girls clubs in Vero, Sebastian and Fellsmere and 25 children from the GYAC participated. Eighteen of the swimmers were competing in their first event. Float Hope is a Vero Beach-based nonprofit with the mission of making Indian River County a mecca for swimming and increasing the number of children who know how to swim. 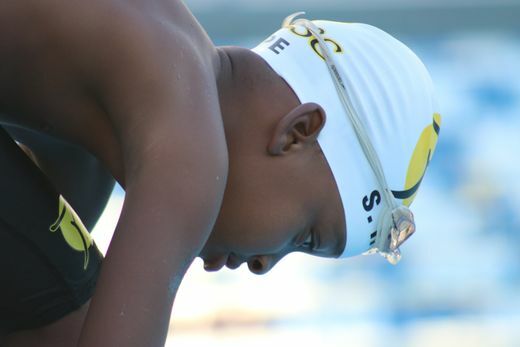 USA Swimming has noted many children of color as well as those without financial means do not know how to swim. 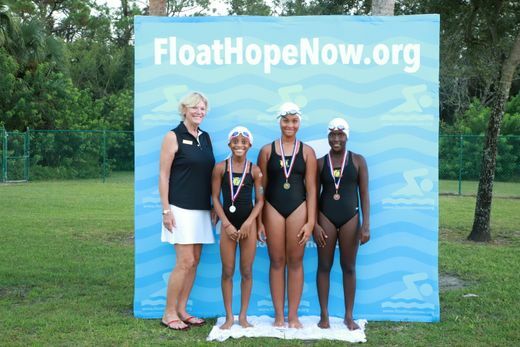 Float Hope supports swim practice for nearly 100 children 3 to 5 times per week and issues grants to fund swimming with Treasure Coast Swimming (TCS) as Indian River's only USA Swimming registered team. Seventy children competed by age group in freestyle, backstroke and breastroke events. Children finishing first, second or third received a gold, silver or platinum engraved medal. Children who swam in their first meet received a large iridescent medal and not one child scratched from their event. The newest children who made 80 percent or more practices received large Speedo swimming backpacks with the team logo and their nickname embroidered on the back. 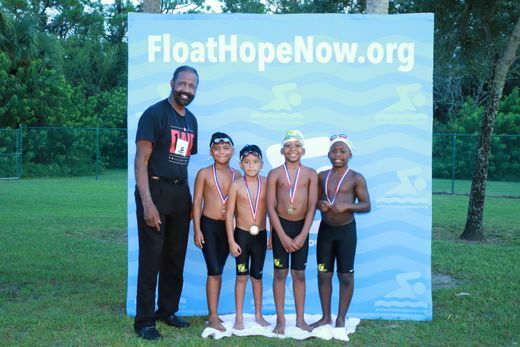 Float Hope has provide grants to support two swim meets a year and year round swimming. Scott Barlow and Holly McClain are TCS coaches and have a staff of assistant coaches as the children swim weekly out of North County & Gifford pools.